To think back through the years of all the Russian greats that have played in the NHL from Bure, Fetisov, Kovalev, Larionov, to hundreds of others, Ovi reigns supreme among his peers. Fedorov retired with 1,248 games and 1,179 points, it took his former teammate 193 games LESS to pass him with at least two more guaranteed seasons in the league after this year. 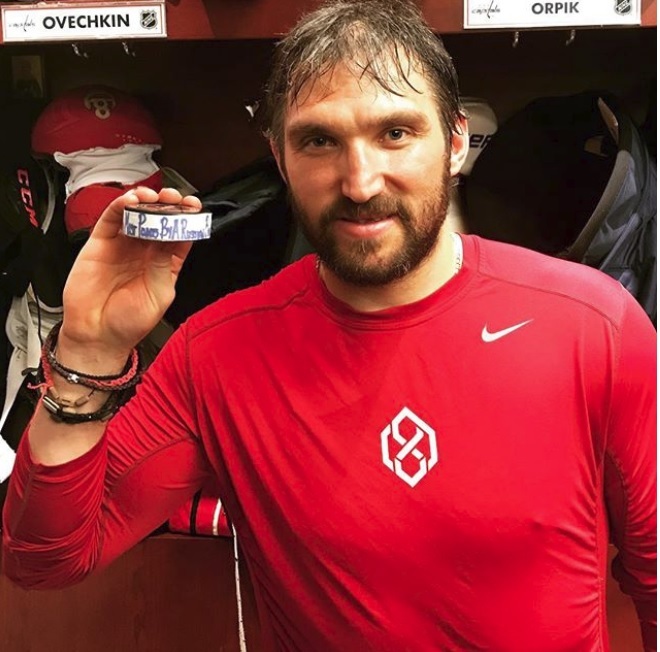 Ovi’s accomplishment is something to treasure not only for its virtue but for the fact this record will likely never be broken by any Russian player as the conclusion of the golden era for his countrymen slowly approaches. After Ovechkin, Malkin, and Tarasenko the drop in skill and production falls hard amongst Russian NHL players. If not were for players like Datsyuk and Kovalchuk leaving for the KHL they could possibly be in the conversation for even coming within a whisker of Ovechkin’s accomplishments but even that seems improbable. As a refresher Ovi leads all Russians in goals, points, power play goals, and game winning goals. He is unlikely to ever catch Fedorov for assists however needing 160 to match with Malkin just 95 shy already. Regardless, he is an indisputable first-ballot Hall of Famer well before his latest triumph and it’s been a true pleasure watching him take the league by storm.